Same but little bit small smartphone Z1 Compact, Sony pack it into a much smaller package without reducing the functionality and features same as Xperia Z1 expect screen size. 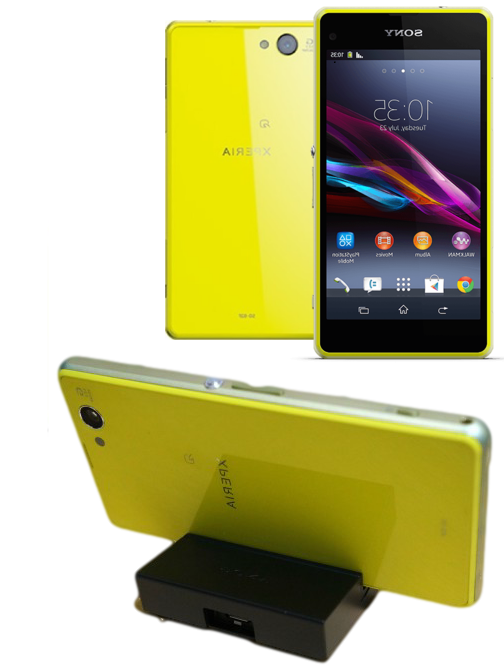 The Sony Xperia Z1 Compact have a Qualcomm Snapdragon 800 system, with a 2.2 GHz quad-core Krait CPU, the Adreno 330 GPU, 2 GB of RAM and 16 GB of on-board storage, which can be increased with a microSD card. Z1 Compact also has the same camera module as the larger Z1.